Associated Natural Stones India Pvt ltd Associated Natural Stones | Natural Stones | Natural Stone | Natural Stone Exporter | Slate Stone | Granite stone | Marble stone | Limestone | Sandstone | ansi india Associated Natural Stones India (P) Ltd. At ANSI INDIA, our goal is your total satisfaction with our products and services. From classic to contemporary, our exacting quality standards and rich selection of colors, textures and finishes help bring your distinctive designs to life with the natural beauty, durability and elegance only natural stones can provide. Natural stone as the name suggests is a gift of mother nature to the mankind . It is a natural creation of the nature which takes millions of years to create natural stone. There are many factors that affect the ultimate gaining and coloration of natural stone. They may be underground springs, mineral deposits, earth shifts, temperature, natural solutions in the earth, and the pressure exerted on these elements over time. There is no way to duplicate these factors in a laboratory or manufacturing environment. Because of the vast differences in the conditions that created the stone, every block extracted from the earth is different. The hand of man plays no role in the process even after the stone has been extracted from the quarry, except for cutting and polishing which eventually brings out all the uniqueness and natural beauty. We at Associated Natural Stones (ANSI India) bring to you the love of nature & inspire you to create one of its kind totally unique environments which no one can ever duplicate along with bringing unparalleled beauty, permanence & a style statement. ANSI India's range of products such as tiles, slabs, veneers, borders, wall claddings, mosaics are ideal for floors, walls, countertops, patios, swimming pool surrounds, copings, steps, landscaping, paving's, roofs, walkways & garden i.e. no one can match it exactly as is indifferent to the fact that you use a slate, granite, marble, sandstone or any other form of natural stone. granite stone Colonium White granite is a white stone with a pinkish hue and darker pink and sometimes black flecks. It is very naturally beautiful and one of the most unique granites available. It is a very durable material and so hence has been used in all types of applications, both interior and exterior. They are remarkable for smooth finish and texture. Its non-slippery, stain removable and non-porous surface gives a glow and shiny finish. These granite slabs are hard and hence sturdy. Our Colonium White granite slabs are durable, wear proof, scratch, moisture, mold and heat resistant and requires very little maintenance. These slabs are used for making various residential as well as commercial space floors and walls. 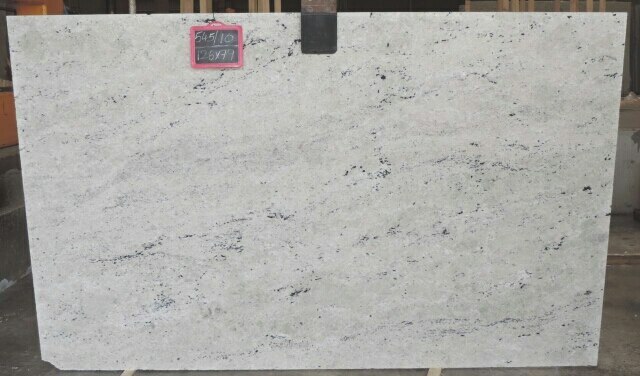 These Colonium White granite slabs are available in various designer patterns and ranges. Its smooth finishing offers a classically elegant feel to the applicable area. The slabs are extremely hard wearing and are ideal for use in high traffic areas of the home, as well as areas where resistance to staining is important.